Thanksgiving activities will soon be starting. 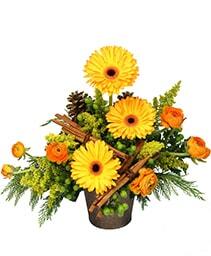 Give the holiday recipe a dash of autumn color by sending flowers online or shop for Thanksgiving table decorations, creative centerpiece ideas, and more at your local Bracebridge, ON (ON) flower shop, CR FLOWERS & GIFTS~ A BRACEBRIDGE FLORIST! Brighten your Thanksgiving turkey dinner with unique floral arrangements, like a table centerpiece for the host, cornucopia fruit baskets, contemporary floral vases or baskets of fall flowers. 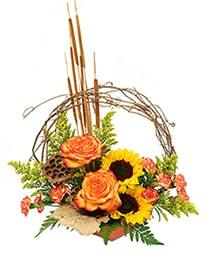 Let your holiday florist, CR FLOWERS & GIFTS~ A BRACEBRIDGE FLORIST in Bracebridge, ON bring warm smiles from across the miles at this year's Thanksgiving celebration! We can remember our loved ones that are at senior homes or hospital with a special reminder of just how much we care, and let us deliver to them for free! 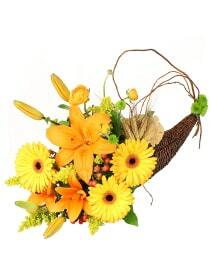 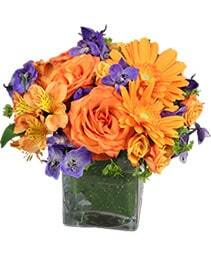 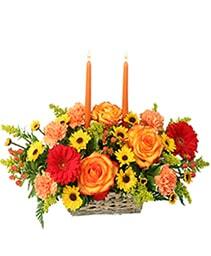 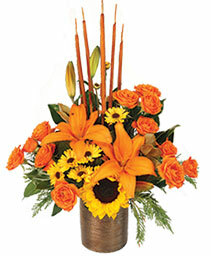 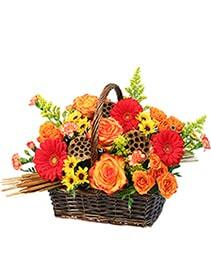 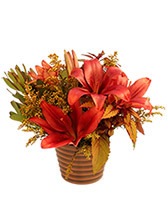 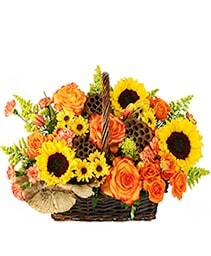 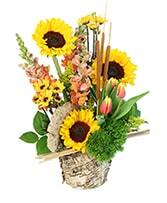 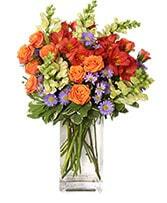 CR FLOWERS WOULD LIKE TO HELP YOU GIVE THANKS ON THANKSGIVING DAY WITH A BEAUTIFUL FLOWER ARRANGEMENT! 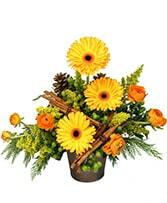 IF YOU ORDER YOUR HOLIDAY ARRANGEMENT AHEAD OF TIME WE WILL GIVE YOU A 10% DISCOUNT. 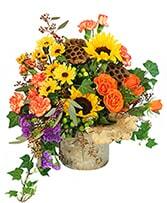 PLUS SENIORS GET 10% OFF EVERYDAY! Just tell me when you are a senior(so that I don't embarras myself).